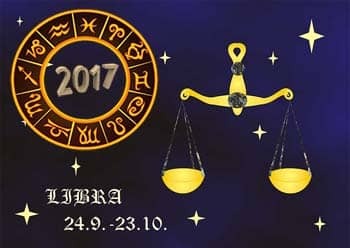 It may seem to Libra-individualities, that the year 2017 will run utterly quickly. However, you will not miss the most crucial things and will reach what you desire. You only have to plan everything in a correct and dependable way. You will be full with additional amounts of energy and you can use it to your advantage. Choose the proper methods and you will enjoy a great success in your undertakings. Keep an eye on your private life and try to find harmony and balance in your inner developments. Manage your time in a proper way so that you spend your time with your friends and family. If playing the right card, the entire year will run in a pleasant way, the way you always wished. You are the master of your future and you should choose the right path. Depending on your life choices, your life will go a good or bad way. Balance means a lot for you right now. Under such conditions, you will be able to step out of the crowd. The Libra-born people possess a high intellect, an amazing charisma and charm. They are very romantic and kind. They can enchant anyone. At times, they go astray and seem to be very depressive. Notwithstanding, they are commonly very optimistic and joyful folks. This is a year of novel happenings in almost all life directions. One of such is personal life. In the case, you are single you will definitely find your great love in the year 2017. You should act confidently and use your wits. You may be a bit flirtatious. This will help you to win the person you wish. You may try novel relations even if you are recently out relations. There is no use in sitting alone at home. It’s time to move on! Do not hesitate and make the next step. Under the condition, you are already in a relationship you should do all that is needed to strengthen them. You require a solid balance. There is a need in moving to another quality level in your relation. Otherwise, they will break up. Give some space and independency to your partner. You should show your partner that you fully trust him or her. This is a nice time to think about the future children. In order to find a novel partner, you should hang out more frequently. Do not be afraid to chat with some strangers. Amongst those, you will find your true love. You should be self-confident and determined. In such way, you will reach what you desire. Libra-identities possess very curious minds and always tend to learn some novice things. This tendency will be kept in the course of the next year as well. This will help you to remain utterly productive. At school and or at work, you will learn novel skills and knowledge, which will help to cope with the most difficult objectives. You will be really prosperous. You only should not be lazy. Train your mind and you will be fine. You should never grow desperate. Everything depends on your own resourcefulness and a desire to reach the aim. The forecasts for the upcoming year are pretty promising in the issue of money. During the entire year, your financial balance will be in the norm. You will manage your earnings successfully and will always have some cash for the most important things. You may also spend them for the things of the art and beauty. However, you should not be too wasteful. You will feel great power and strength of your body and will. You may enjoy great achievements in sports. You should undergo physical workout and train your brain as well. In such way, you will be successful in all possible directions. You should also keep in mind your passions. Give heed to your hobbies, spend more time with the closest people in your life and consume only healthy foods and drinks.